Please contact me regarding the 2018 Peterbilt 348 - Stock# 469665 for sale at TruckerToTrucker.com. 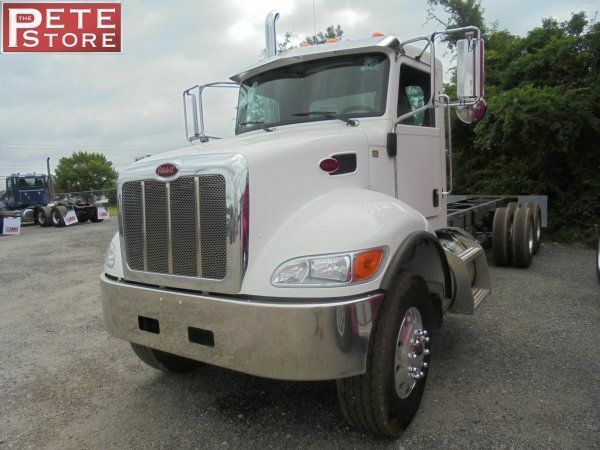 Take a look at this 2018 Peterbilt 348. It is Stock# 469665 at TruckerToTrucker.com. Double Frame, 262" Wheelbase, 192" Cab To Axle, 299" Cab To End Of Frame, 64,000 lbs. GVW, 20,000 lbs. Steer Axle, 44,000 lbs. Tandem, Double Locking Differentials, 5.29 Ratio, Hendrickson Haulmaxx Suspension, Cummins ISL/PACCAR PX-9 350 HP, Allison 3000 RDS-P Automatic Transmission, 315 Front Tires, 11R22.5 Rear Tires, Aluminum Wheels, Adjustable Steering Column, Blue Tooth Enabled Radio, Stainless Steel Visor, 90 Gallon Fuel Tank, This Truck Is Ready For Work - Call The Pete Store.